The Ancient and Accepted Rite derives from the Rite of Perfection, which developed in France mainly in the quarter-century before September 1762. Its constitution, and the rituals for its twenty-five degrees, were formalised by Francken in a manuscript bearing that date, though probably written somewhat later. It was followed by The Grand Constitutions of 1786, dated May 1786, which describe the Ancient and Accepted Rite, consisting of thirty-three degrees, largely as it exists today. This document was presented as the product of a Council meeting under the titular direction of Frederick the Great. The original has not been found, and the copies seem to date from nearer to 1800. In May 1801, in Charleston, the first Supreme Council following the Grand Constitutions was opened (now known as The Southern Jurisdiction of the USA). It was followed by France (1804), Spain (1811) and the Northern Masonic Jurisdiction of the USA (1813). Ireland (1826) was the sixth, England and Wales (1845) -- receiving its Patent from the Northern Masonic Jurisdiction -- was the eleventh and Scotland (1846) the twelfth. There are now independent Supreme Councils in over 60 countries. 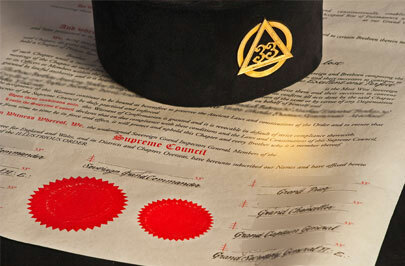 The sovereign power of the Ancient and Accepted Rite in England and Wales is committed to a Supreme Council consisting of nine Sovereign Grand Inspectors General, as prescribed for every country by the Grand Constitutions. It has the responsibility of managing the affairs and promoting the wellbeing of the Order, including the consecration of new Chapters, and of maintaining fruitful relationships with other Masonic bodies, both nationally and internationally. It is in amity with Supreme Councils in many foreign jurisdictions. Each member of the Supreme Council holds the highest degree of the Order, the 33°, as do some 50 Inspectors General in England and Wales and 20 in Districts overseas, to whom authority is delegated to manage their appointed Districts, and a few others who contribute very significant services to the Order, or to Freemasonry in general. These include the Grand Patron, His Royal Highness the Duke of Kent. Authority is further delegated to Chapters to confer degrees from 4° to 18°. 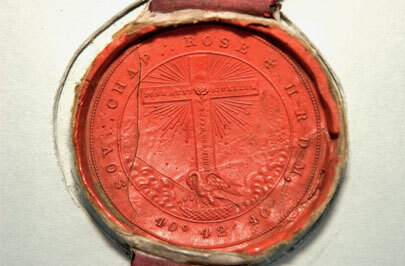 The higher degrees are generally conferred by the Supreme Council at regular ceremonies, and recognise substantial services to the Order: 30° (including 19° to 29°), 31°, 32° and 33°. © Supreme Council 2002-12. All rights reserved.